The eight hours it’ll take you to drive to Pisew Falls Provincial Park from Winnipeg (via Highway 6) has a way of thinning out the crowds, as does the 22 km of backcountry trails between the province’s two highest waterfalls — you may just find your party totally alone. 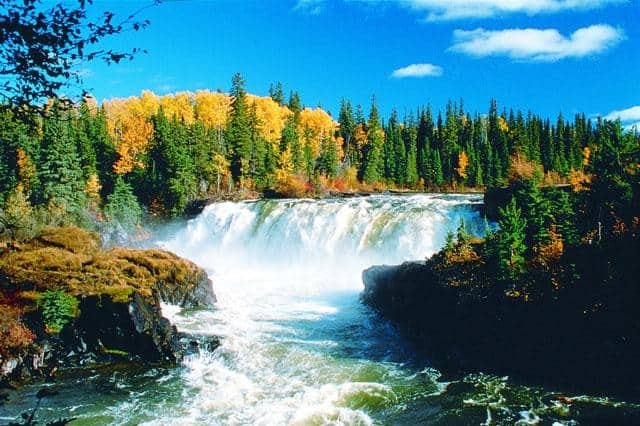 The trailhead starts at 13-metre-high Pisew Falls, proof there are elevation changes in this pancake province, before winding through 22 km of marked forest trail en route to the 14-metre-high Kwasitchewan Falls. Camp overnight at one of the free backcountry campsites here; though industrious trekkers have knocked this route off in a day. Pack-in, pack-out; pit toilets are available at the campsite. 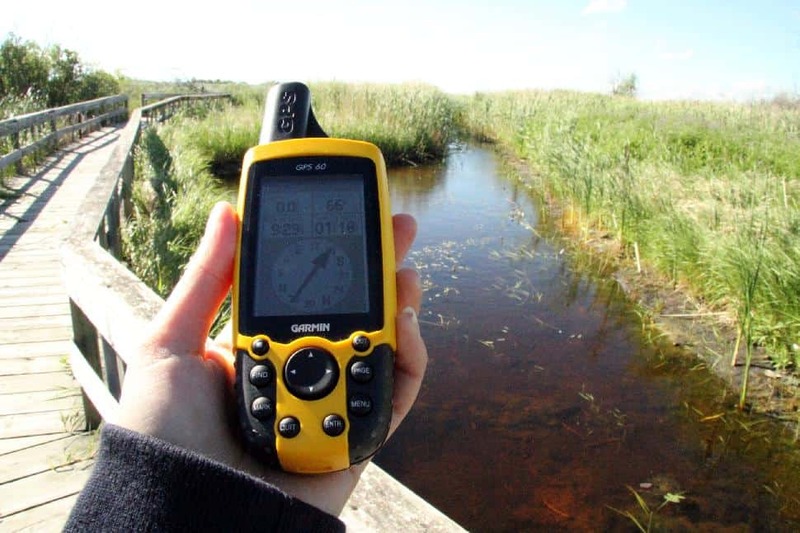 This hike follows the Grass River, a famous 1700s-era fur-trader route. Best For: Waterfall hunters embarking on an inaugural overnight hike. 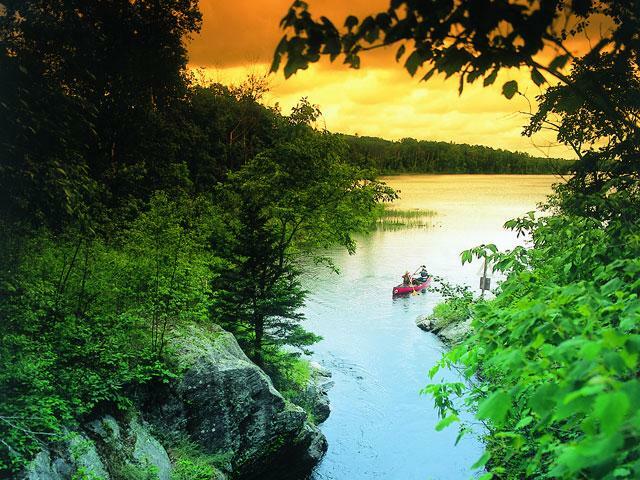 Whether you choose to tackle the three- or four-day end-to-end route of Manitoba’s classic backpacking route or knock-off a day-trip segment, the Mantario Trail delivers a hard-hiking challenge only two-and-a-half hours’ drive east of Winnipeg. Despite being reasonably well-known and relatively close to the province’s largest city, it’s far from crowded. Expect heaving Precambrian Shield terrain, granite cliffs, beaver dams, fallen timber, peat bogs, steep gullies and jack pines and maple trees. There are 10 primitive campsites along the route, with fire pits and food storage boxes and, maybe, a picnic table or two. The trail is well-marked, and water can be accessed at many points throughout. Parking is at the north and south trailhead — keep in mind this is not a loop; you’ll have to arrange return transport. The Mantario Trail is best in fall, as spring’s floods can be troublesome and summer’s bugs are brutal. 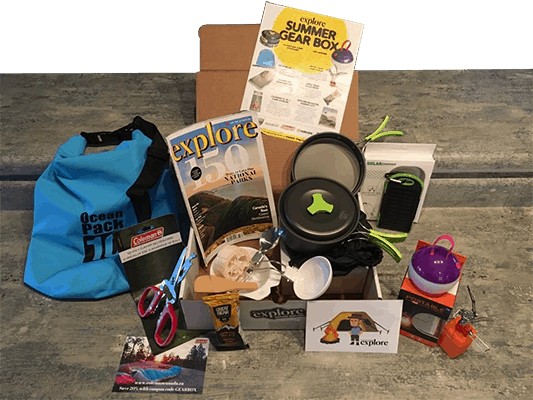 Best For: Multi-day hikers looking for an unexpected challenge. You’ll come face-to-face with 30-metre sand dunes, but this is no desert — 400 mm of annual rainfall sees to that. 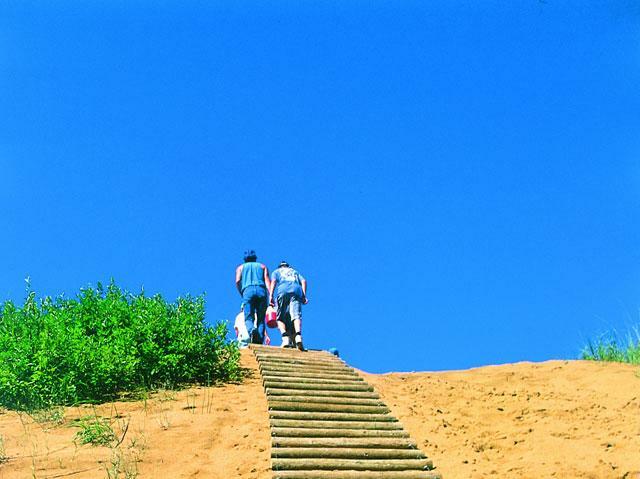 Nevertheless, the Sahara-like terrain of Spirit Sands, located in Spruce Woods Provincial Park, about two hours west of Winnipeg (27 km south of Carberry), offers two- to 3.5-hour hiking routes with spectacular payoff. From the trailhead at Seton Bridge, take either a three- or 5.5-km trail (one-way) through shifting sands, ever encroached on by forest and rich with cacti, en route to the Devil’s Punch Bowl, a 45-metre depression containing an ethereal blue-green pool; a visible segment of one of the many underground rivers. Drinking water and washrooms are available along the well-marked trail. Fall is the best time to tackle this easy jaunt, as summer’s heat can be oppressive. Beware of the abundant poison ivy! Best For: Newbie hikers branching out from urban parks. Which of these hikes is your favourite? 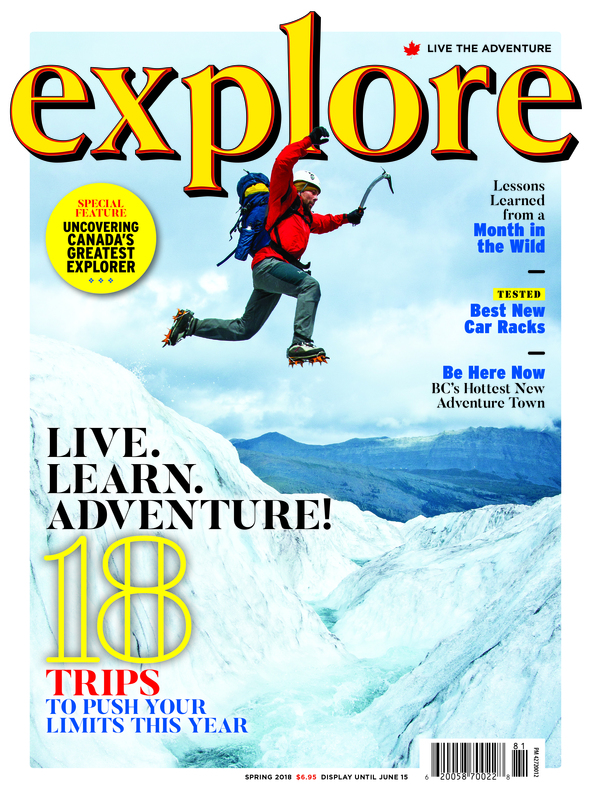 @exploremagazine for the chance to be featured! Looking to spot Manitoba's big five? Head out this August on a guided tour of Manitoba's wildlife: bear, belugas and more. Sandwiched between Riding Mountain National Park and Duck Mountain Provincial Park, it's hard to leave this prairie town without running into a mountainous region.